First off, if the photos don’t look as amazing as my other posts, forgive me as I forgot to bring my camera and had to use my iPhone instead! 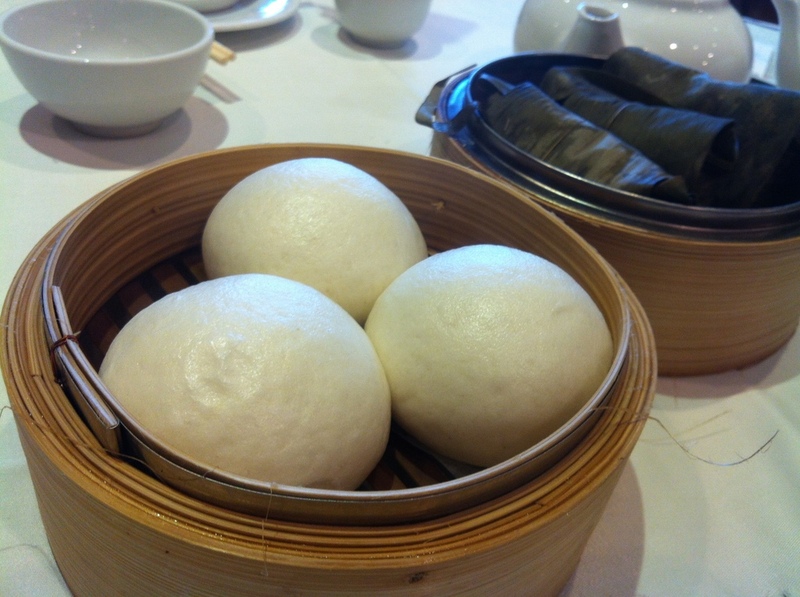 I went to Rainflower Restaurant with Fon (aka FW) and Lil Sis one day as we were all craving some much needed dim sum. 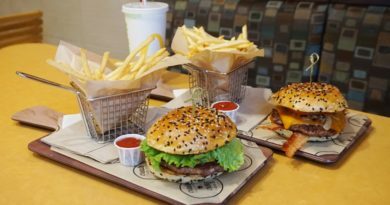 Although we didn’t have much experience with this restaurant, we spontaneously decided on Rainflower Restaurant located on No.3 Road next to Yohan Center. A waitress was walking around asking if anyone wanted these Radish Pastries and we said yes on a whim (we were quite the spontaneous bunch that day :D). I don’t know how much they were but it was a really decently prepared radish pastry. 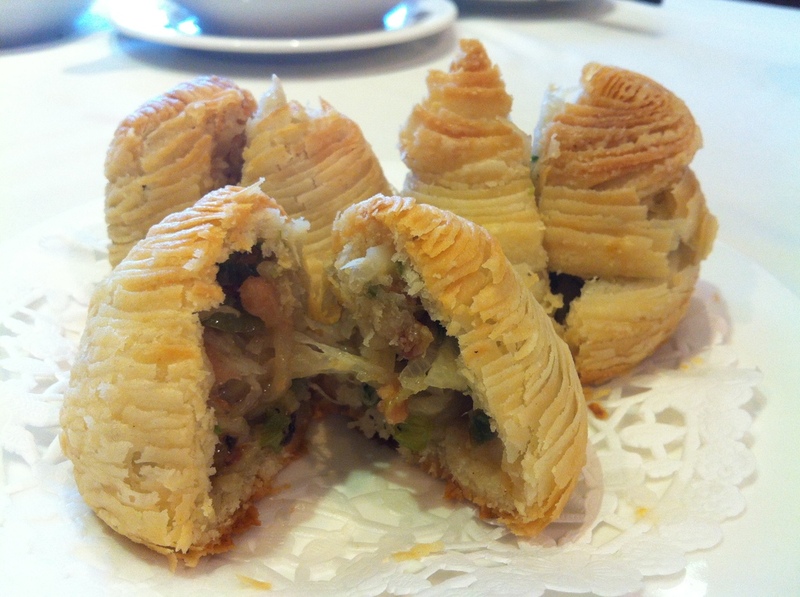 As you can see from the picture, the layers of puff pastry were prominent and definitely flaky to the touch. Now that I can eat shrimp again (YAY! Spot Prawns here I come! 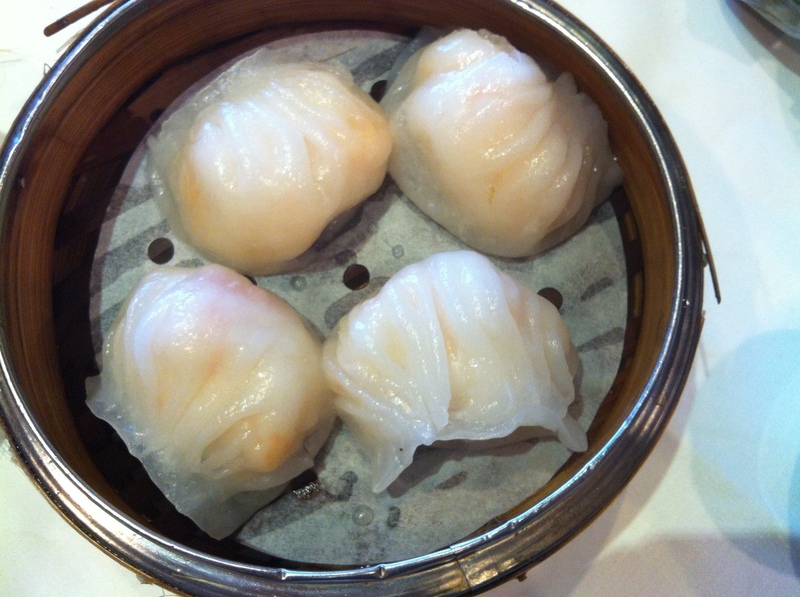 ), we ordered Rainflower Steamed Shrimp Dumpling ($4.65). 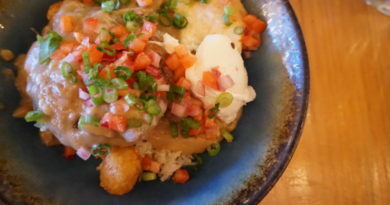 We all thought the har gows were extremely plump and juicy, more so than other shrimp dumplings we’ve tried in the past. This is a dish I would get over and over again. 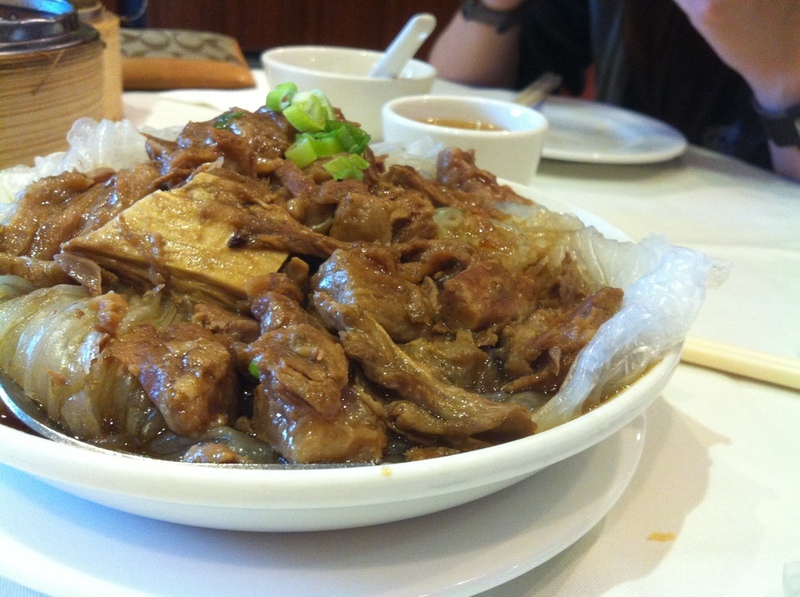 Its called Beef Tendon and Brisket on Glass Noodles and not only were the brisket and tendons soft and flavourful, the rich flavours absorbed beautifully into the ‘glass noodles’, coating each crevice. 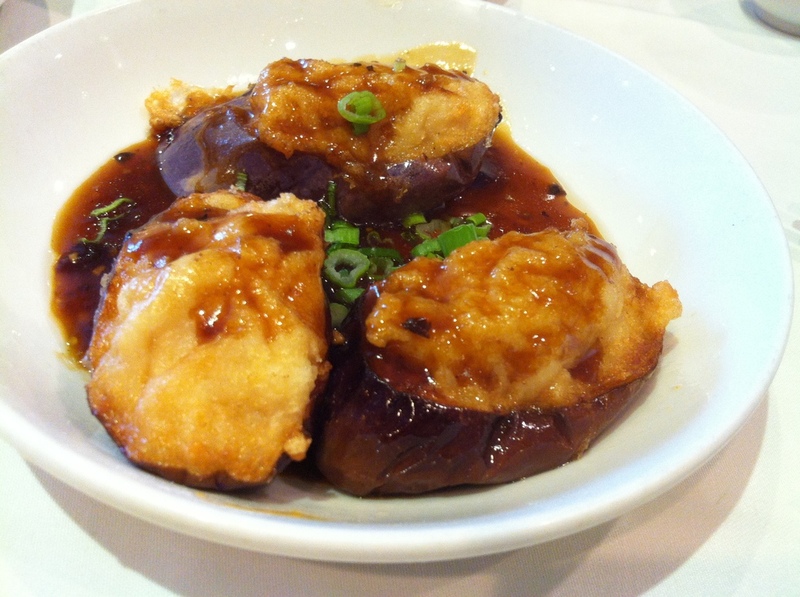 This is the typical Eggplant Stuffed with Shrimp Paste dish and it was decent. Not the best nor the worst I’ve had. Apparently Rainflower Restaurant won awards for their Baked Durian Pastry ($4.65) so being a crazy durian lover, I knew I had to order this! Luckily, there were no objections at the table or else I would have had to take someone down. 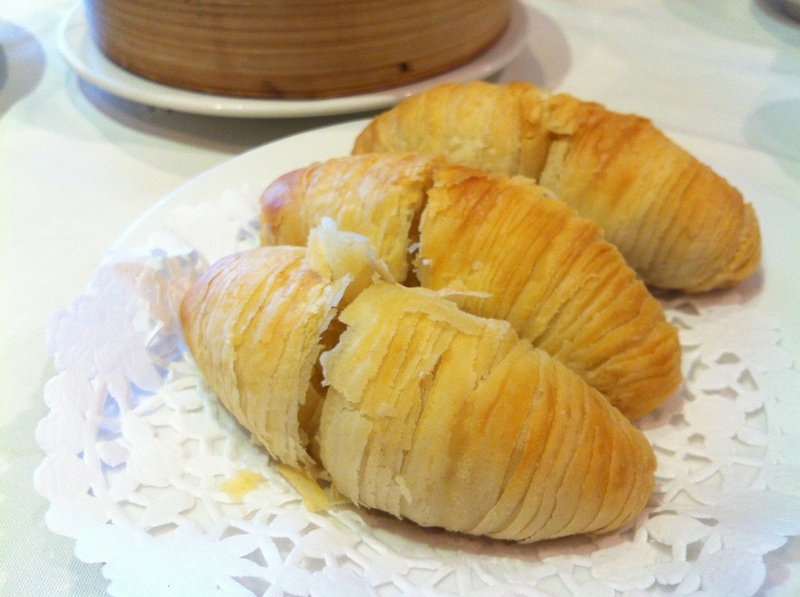 😛 The pastry was light and flaky on the outside and had a gooey warm durian center. The durian wasn’t as ‘stinky’ as I would have liked, but Fon actually appreciated that since it was more tolerable for her. …a flow of delicious lava-like substance consisting of savoury egg yolk and sweet carrot custard will come running down your fingers. 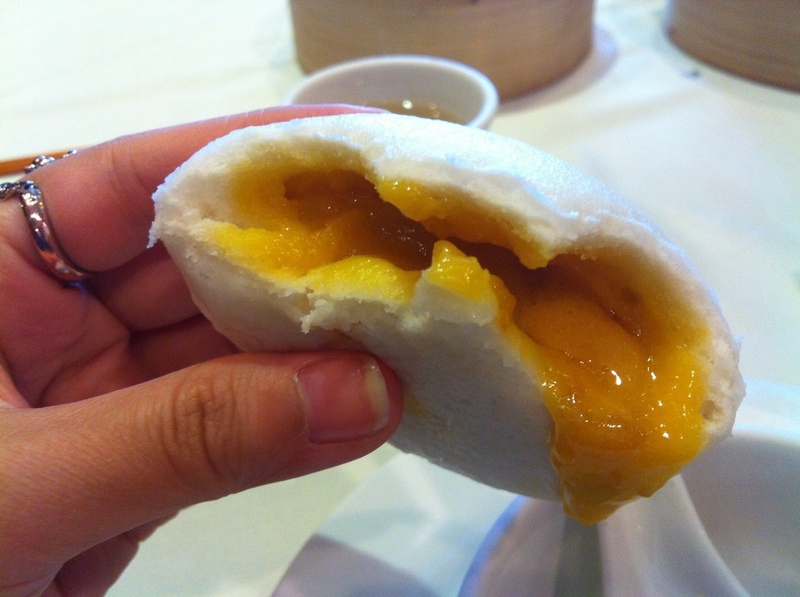 It is extremely important to eat this while its hot or else the liquidy filling will be harden! Highly recommended dish, this one. Overall, none of us were blown away by the quality of these dishes but it was made up by good company. The prices are reasonable but are more on the pricier side so this wouldn’t be my first choice for good ol’ cheap dim sum. 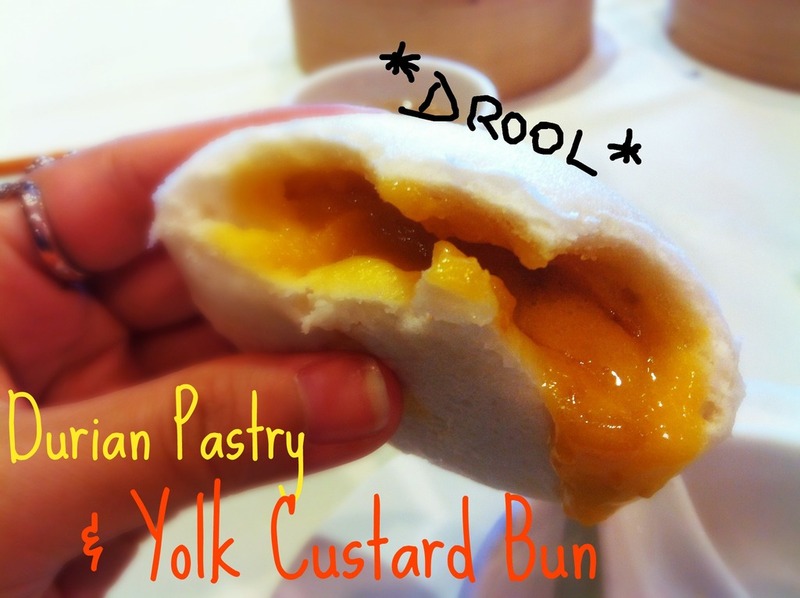 durian pastries, egg yolk steamed bun, and glass noodle dishes are all recommended! 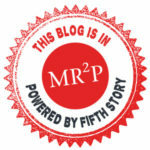 Torarenbo Japanese Restaurant – Sushi Sandwich? !